^ Constitution of Union between Croatia-Slavonia and Hungary. ^ Elections, TIME Magazine, 23 February 1925. ^ Appeal to the international league of human rights, Albert Einstein/Heinrich Mann. ^ Staff. Jasenovac concentration camp 互联网档案馆的存檔，存档日期2009-09-16., Jasenovac, Croatia, Yugoslavia. On the website of the United States Holocaust Memorial Museum. ^ World Bank, World Development Report 1991, Statistical Annex, Tables 1 and 2, 1991. ^ 12.00 12.01 12.02 12.03 12.04 12.05 12.06 12.07 12.08 12.09 12.10 久保慶一. 引き裂かれた国家―旧ユーゴ地域の民主化と民族問題. 日本、東京: 有信堂高文社. 2003年10月10日. ISBN 978-4842055510. 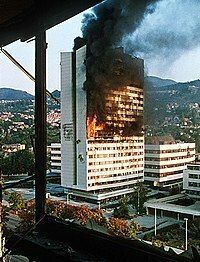 ^ 13.0 13.1 Death of Yugoslavia. British Broadcasting Corporation (BBC). 1995. ^ Roads Sealed as Yugoslav Unrest Mounts. The New York Times. 1990-08-19 [2010-04-26]. ^ Sudetic, Chuck. Financial Scandal Rocks Yugoslavia. The New York Times. 1991-01-10 [2010-04-26]. ^ Flores Juberías, Carlos. Some legal (and political) considerations about the legal framework for referendum in Montenegro, in the light of European experiences and standards. Legal Aspects for Referendum in Montenegro in the Context of International Law and Practice (PDF). Foundation Open Society Institute, Representative Office Montenegro. November 2005: 74. （原始内容 (PDF)存档于2012-04-26）. ^ Volitve [Elections]. Statistični letopis 2011 [Statistical Yearbook 2011]. Statistical Yearbook 2011 15 (Statistical Office of the Republic of Slovenia). 2011: 108. ISSN 1318-5403. ^ Icty – Tpiy. UN. （原始内容存档于2004-03-07）. ^ 24.0 24.1 24.2 24.3 24.4 24.5 Pavlovic: The Siege of Dubrovnik. 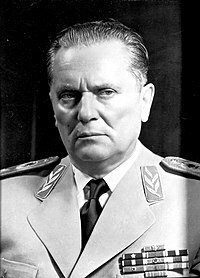 Srdja Pavlovic. ^ Pavlovic: The Siege of Dubrovnik. Srdja Pavlovic. ^ Two jailed over Croatia massacre. BBC News. 2007-09-27 [2010-04-26]. ^ Karadzic and Mladic: The Worlds Most Wanted Men. FOCUS Information Agency. （原始内容存档于2009-04-16）. ^ Resolution 721. N.A.T.O. 1991-09-25 [2006-07-21]. ^ 32.0 32.1 千田善. なぜ戦争は終わらないか ユーゴ問題で民族・紛争・国際政治を考える. 日本: みすず書房. 2002年11月21日. ISBN 4-622-07014-6.